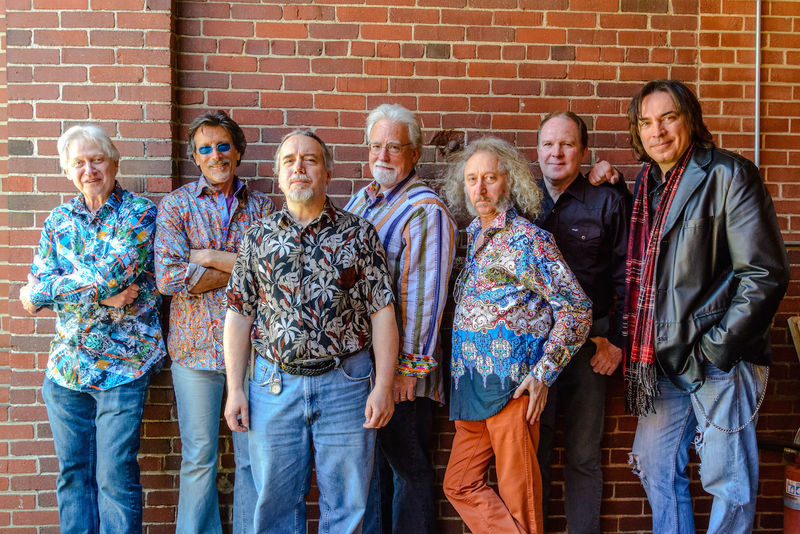 North Conway – Arts Jubilee presents Live at the Fillmore—The Definitive Tribute to the Original Allman Brothers Band—outdoors at Cranmore Mountain Resort on Thursday, August 9th at 7:00 pm. Live at the Fillmore performs the music of the original Allman Brothers Band as it was performed in the early years before the untimely deaths of Duane and Berry Oakley, and the departure of Dickey Betts. For many, those were the ‘glory days’ of the Allman Brothers Band. Anyone who had the good fortune to hear the Allman Brothers Band shows ‘back in the day’ on the same or successive nights will corroborate that though they did leave room for improvisation and personal expression, for the most part the songs remained the same. This has been Live at the Fillmore’s approach to performing their music. Live at the Fillmore brings back authentically the performances of the Allman Brothers Band for those who were there to hear and still remember them, along with those who have a similar love for this music and wish they had been there. Dennis & Davey will be the featured local opening act at 6 pm. Special thanks to our concert lodging sponsors: The Colonial Motel and Eastern Inn & Suites. Concert admission is $12 for adults, $10 for seniors (65+), $5 for students, and free for kids 12 and under. All ticket sales are at the gate (cash or credit). There’s plenty of free parking on site, food and beverages will be available on the Zips Pub deck, and there will be a raffle for some great prizes at each concert. Seating is not provided at the venue, so concertgoers are encouraged to bring a lawn chair or blanket. Animals are not allowed on the property except for leashed service dogs. All concerts are rain or shine. For more information visit www.artsjubilee.org.